A good specimen located within a holiday campground on land that was formerly included in an area known as Geraldine Park. S.W. 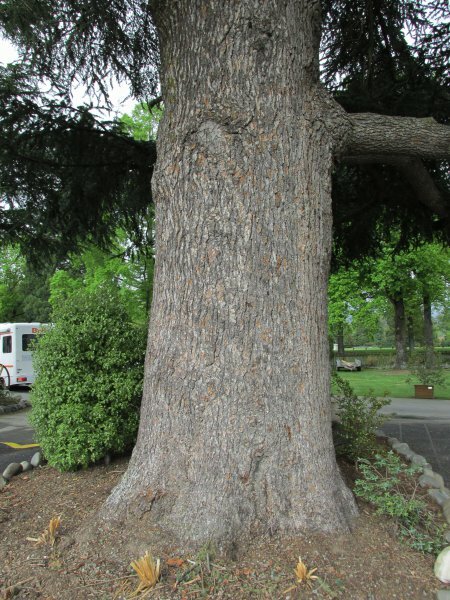 Burstall recorded the tree in his 1973 mensuration report 22, noting that it was an 'outstanding tree well sited in the park'. 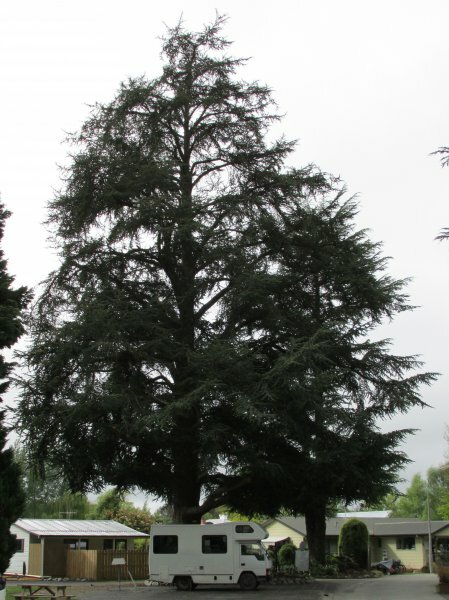 An image of the tree was included on page 230 of the subsequent book 'Great Trees of New Zealand'. There are several other very good conifers within the campground (Cadwallader, 2013). A short distance from the office.